One of my guilty pleasures is watching reality cooking shows. Not that I ever cook much, but it's really fun to watch other people cook. Recently while watching one on Netflix called Zumbo’s Just Desserts (seriously), I found myself thinking, “They’re talking about the lavender oil a lot. 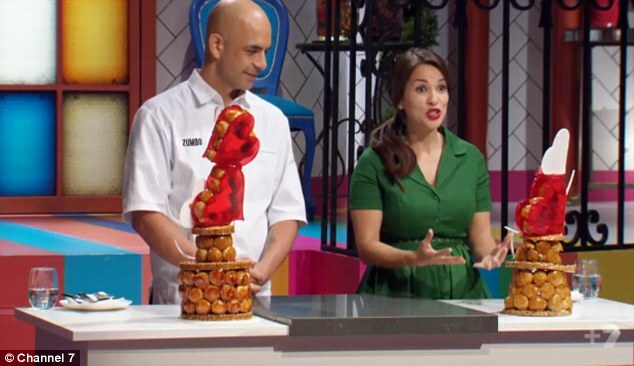 That means she added too much and it’s gonna taste awful.” And sure enough, a few minutes later, the judges were telling her that her cake tasted like potpourri. These shows are also great at emotional manipulation. It was obvious pretty quickly in Zumbo’s, for example, that there was one particular character** who we were supposed to dislike. Everything this fellow said felt egotistical and just slightly sexist. And no one else spoke that way—at least not in the episode as it was edited. What is he like in real life? What are any of them like in real life? No idea. But we knew who to root for and who to dislike, just by their behaviors and speech. We didn’t have to be told. Which leads me to the subject of misdirection. Because it would be boring if every clue told you where to look. So they edit in specific comments and moments, but you don’t know if they’re going to lead to a flop or a fly. That lavender oil bit could have led to a fantastic success. What it couldn’t have led to? Nothing. Talking about it has signaled that something important is going on. It’s like Chekhov’s gun on the mantel. You can’t just put it there and then ignore it. Analyzing the ways that reality cooking shows manipulate the audience and misdirect/guide us has been interesting to me, and I find myself actively trying to notice the clues as I watch. So if you need an excuse to watch your favorite cooking show, here you go. **** Call it research. * In shows that record the whole season before the first episode has aired, you can sometimes see the clues for the finale right from the beginning. ** I say “character” because, let’s be honest, “reality” tv isn’t actually real. These are certainly characters or at least personas, not real people. *** I just wrote “absolutely brilliant.” This means I’ve been watching The Great British Baking Show. **** One caveat: American reality cooking shows do it far more than foreign. The Great British Baking Show feels a bit less manipulative of our emotions, although there are still plenty of clues to the results of each individual challenge.